I’ve always had a deep love of sport; the competition, drama, stories, the heartache and triumph. In my world, there is nothing more human than to want to bring people together for a common goal. That feeling of inclusion when you are part of a team, as a fan, or a spectator has always been a powerful experience. And that is why the future of eSports is so interesting. 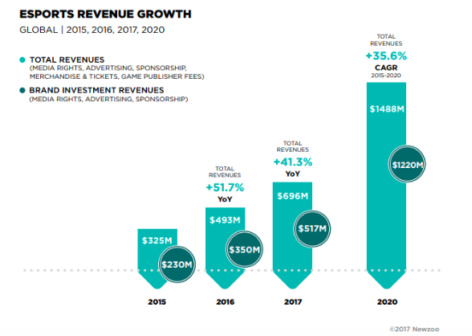 Growing at 40 percent year on year and forecast to become a $1.5bn industry by 2020, the eSports ecosystem of players, fans, sports and businesspeople is aligned closely with one of the fastest growing entertainment industries globally, video gaming. To put it in perspective, according to 2015 data from National Cricket Census (Australia’s number one participation sport), 1,311,184 people played cricket across Australia in 2015-2016. Compared with the findings from the sixth Digital Australia report by Bond University, 68% of Australians play video games. That’s approximately 16 million of us. The fastest growing segment of the population new to video games was those over the age of 50, of which 49% actively play? In the commercial space, the Detroit Renegades, a North American team owned by NBA player Jonas Jerebko who’s current roster features three Australians, has clocked up total prize money earnings of more than $400,000 in the last few years. 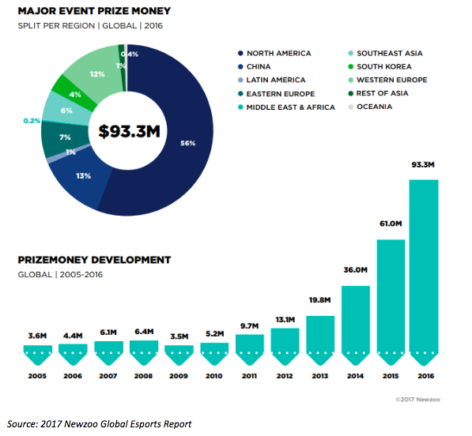 You only have to look at the number of tournaments and prize pools from the most popular eSports games like League of Legends, Dota 2, Call of Duty, StarCraft II and Counter-Strike: Global Offensive, to see just how staggering the numbers are. There is also emerging consolidation within the industry – a well-known sign of a maturing market – with Time Warner acquiring Machinima, a global YouTube network focussing on gaming back in 2016. With this acquisition Time Warner added to its existing ownership of the ELEAGUE and by extension created opportunities for the conglomerate to bring streaming, technology and new business models to their holdings. 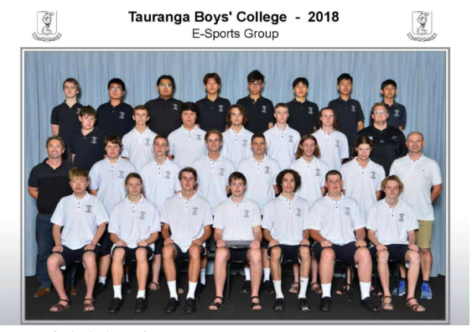 But it’s not just the industry activity and growing earnings that is fascinating; team rosters now include coaches, phycologists, analysts, team houses, player transfers – all the attributes commonly associated with professional sporting organisations. There are even professional NFL players living and rooming with eSports professionals. Soon to be a distant memory are the days where the talk of ‘professional video gaming’ garnered a chuckle. As Joe Rogan put it during an interview with professional gamer Jordan “n0thing” Gilbert, “it’s always been fascinating to me that certain games get taken seriously. Certain games, garner respect. Like Chess… If you were a really good Chess player. [Sic] It was like, oh, he’s a sophisticated gentleman”. For a moment, consider the environment that has continued to develop alongside eSports with online streaming. These audiences are global, unrestricted by television rights, highly measurable by nature of being online, and have incredibly strong player-to-fan engagement rates. In fact, Twitch, a streaming service that sold to Amazon in 2014 for $970 million in cash has recently passed the mark of 1 million average viewers per day, while organisations like Formula 1, the NHL and NBA and AFL are continuing to build engagement with fans through emerging eSports programs which follow the regular season. It is with this high-growth industry that the relationship with brands is changing. Brands are able to get closer to consumers at scale and leverage the better relationships of streamers to increase engagement and reach new markets. At a higher level, the International Olympic Committee (IOC) acknowledged the rapid growth of competitive gaming and released a statement stating, “competitive eSports could be considered as a sporting activity, and the players involved prepare and train with an intensity which may be comparable to athletes in traditional sports.”. Currently, 17 colleges including UC Irvine, University of Utah, and Staffordshire University in the United Kingdom offer athletic scholarships for eSports and competitive gaming. So, I encourage you to familiarise yourselves with some eSports that you can relate to. Take some time to watch an event online, attend an event in person, or maybe even learn a little more about Twitch. I encourage you to step back from the screen and see the competition for what it is. An experience with all the drama, disappointment and magic moments that traditional sports have. See it as individuals striving to be their best and teams working to achieve common goals. See eSports as a truly human endeavour. Because that, I believe, is certainly something brands can engage with. 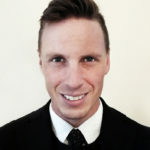 Matthew Malcolm is the Founder & Managing Director at Gallantway, a proud TEDxSydney partner and specialist performance marketing company headquartered in Sydney, Australia.